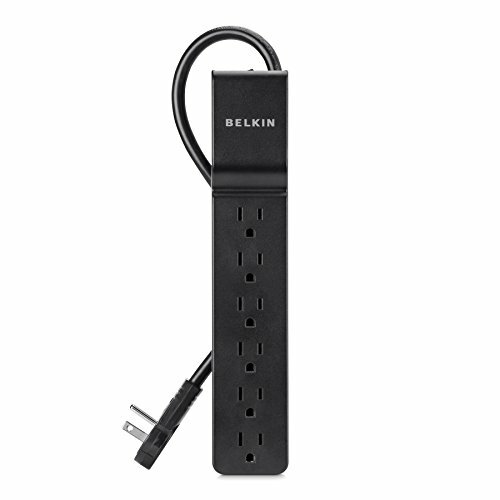 Expand your home’s connectivity while safeguarding your electronic devices with the Belkin 6-Outlet Surge Protector. Featuring six surge-protected outlets, this 720-joule surge protector offers reliable protection against surges, lightning strikes, and AC contamination. This surge protector comes with a 360-degree rotating plug, making it easy to position it in tight spaces. With its slender, low-profile design, this surge protector is ideal for use homes and offices where space is at a premium.